An R.V. park with over 260 spaces, located between the communities of Riverside and Sun City, next to Lake Perris. 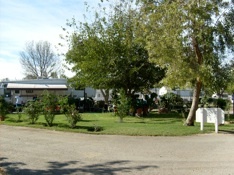 The park has many amenities including an Olympic size pool, clubhouse, laundry facilities, playground and R.V storage.